Lantek Flex3d Tubes is a CAD/CAM software system for designing, nesting and cutting parts of tubes and pipes. 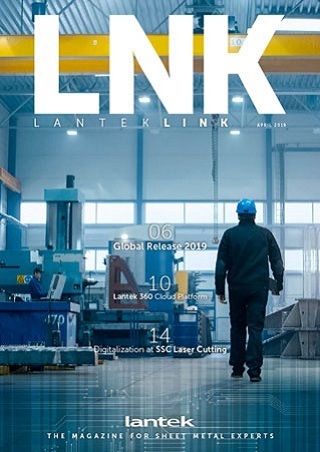 Lantek has used all of its experience and proficiency gained in design systems and programming for sheet metal cutting, punching and bending machines and applied it to the tube cutting sector – regardless of the type of machine. Lantek Flex3d Tubes integrates with various kinds of tubular geometry importers such as SAT and IGES. 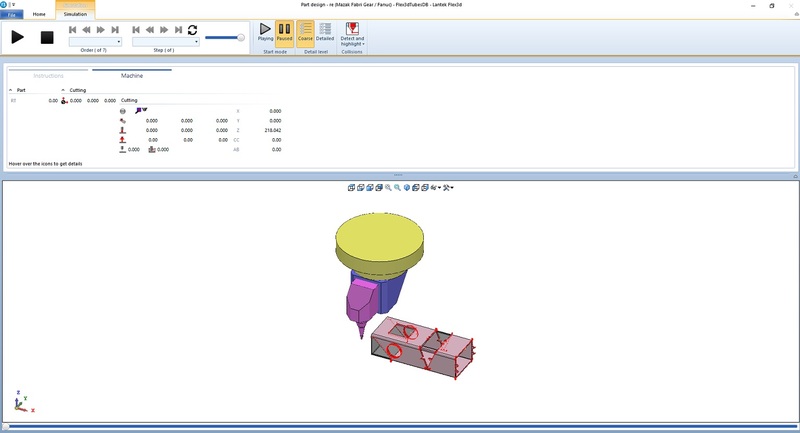 This software allows 3D design to be simple and intuitive. It gives a true vision of the resulting design profile that will eventually be cut on a machine. This system is a parametric system which allows the user to change the values of any operations previously made, including changes to the initial parameters of each tube (lengthening, shortening, change of diameter). Once the design stage is complete, the user can simulate optimization of the tube (nesting) and the path followed by the cutting head. The software will directly generate the NC program in order to send this optimization to the machine. Provides a real vision of the expected result on the screen. 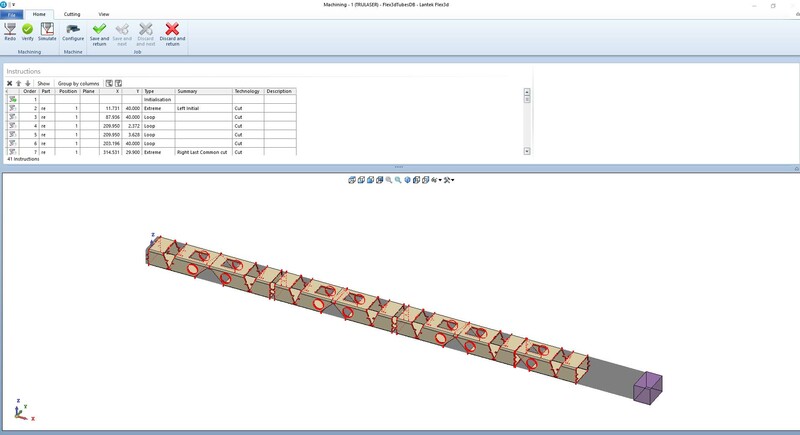 Displays the exact tube and simulates 3D and each process, thus reducing errors. Allows for easy manipulation and editing of the design with zoom, view, and rotation controls. Offers the user the ability to create standard tubes based on requirements. Allows the user to design tube types adapted to their needs from 2D outlines, in addition to cylindrical, rectangular, and triangular tubes. 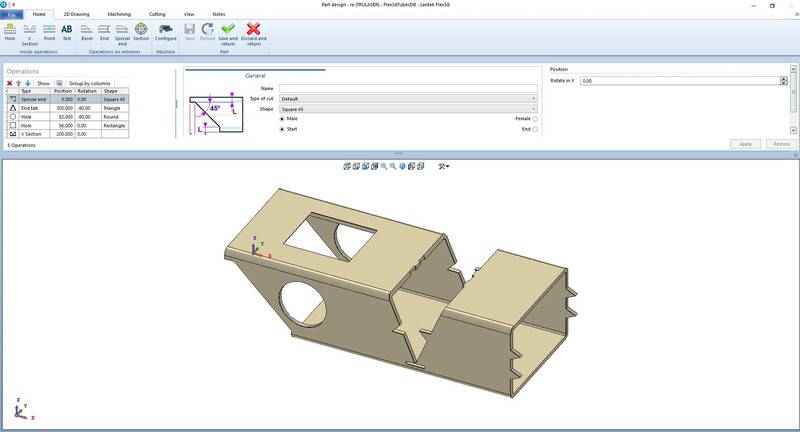 Allows for the design or import of desired geometry to create any type of cutout or trim with 2D design options. Lantek Flex3d Tubes is totally integrated with Lantek’s management systems, Lantek Manager and Lantek Integra. Lantek Flex3d Tubes can simulate the cutting machine and the machine sequence over the tube. 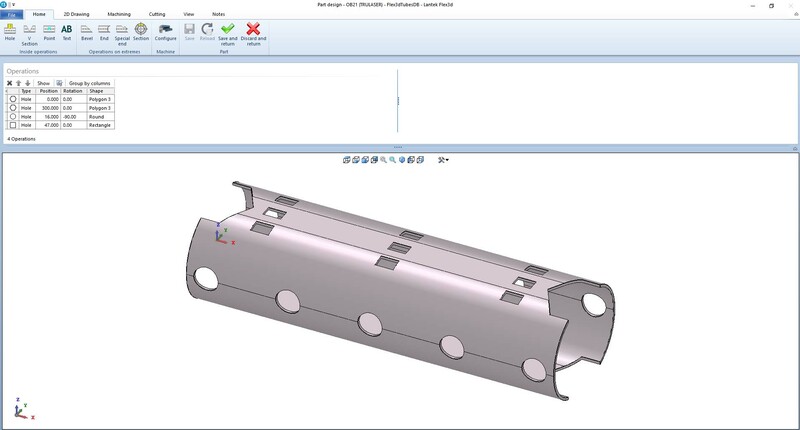 If the resultant simulation is acceptable by the user, Lantek Flex3d Tubes will automatically generate the NC file for each machine; and, in the same environment, it will integrate the information related to the design and post-processing. Lantek Flex3d Tubes offers totally interactive simulation: step-by-step, forward, rewind, pause, and restart.